Chabahar and Gwadar; Do these names rings bell in your mind? These two are small ports of Iran and Pakistan respectively. Both these cities are in the news since last two weeks and are becoming the new centers of economic warfare between two giants of Asia - India and China; the battlefield has shifted from building their infrastructure within the country to build outside. Not far from Gwadar is Chabahar Port. Gwadar’s main competitor in this region and better positioned to connect with Central Asian Republics and Afghanistan. And this is where India comes in picture. Chabahar port plays an important role in India’s Central Asian Diplomacy. 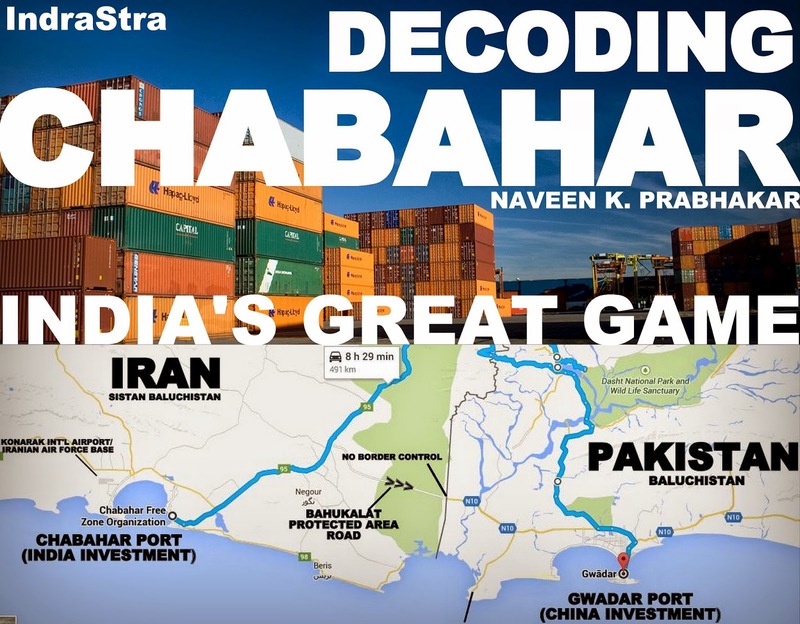 Connecting landlocked Afghanistan to Chabahar Port is a major part of India’s $750 million USD aid to Afghanistan. Chabahar-Milak-Zaranj-Dilaram route is under construction by India and has already spent about $100 million USD to build a 220-km (140-mile) road in western Afghanistan to link up with Chabahar Port in Iran. India, Iran and Afghanistan has signed tripartite agreement for giving preferential treatment to Indian goods heading for Afghanistan and other Central Asian Republics. With no immediate solution in place for the ambitious Iran-Pakistan-India gas pipeline in near future India and Iran discussing laying pipeline in the bed of Arabian sea bypassing Pakistan. If this plan takes place, this will give the energy starved India a direct access to Natural Gas reserves of Central Asian Republics especially Turkmenistan. Chabahar port will also facilitate a multi-modal transport link between Indian west coast ports and Russia via Astrakhan by a strategic partnership between India, Iran and Russia.